A pipe leak detector also called a leak sensor is a special devise which is usually hooked on to a series of pipes and sends back signals to the central command unit. The sensors will send alerts as soon as there is a leak which allows for the technicians to take immediate action prior to the leak becoming larger and worse. There are various types of pipe leak detectors which range from those which are really cheap and used in part by home owners to detect leaks in their pipes to more expensive ones used by the oil and gas industry. 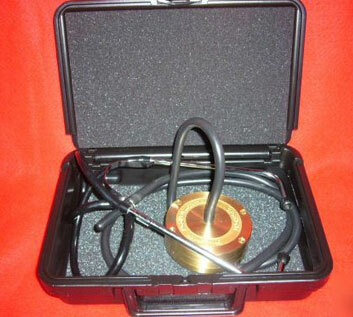 Oil pipe leak detectors – These are often installed along an oil pipeline and serves as an early warning system. Water pipe leak detectors – These detectors usually work by monitoring the pressure in the water pipe for fluctuations. However, some of the latest detectors use sensors to detect the presence of water flowing from a leak. Buying a detector is not as easy as it may seem, there are numerous variables which need to be kept in mind when looking for a leak detector. The first thing you need to know is exactly what the difference is between all the available detectors and based on that which one suits your needs the best. The emphasis should be on purchasing the cheapest detector that suits your needs if you are an individual who just needs to check his or her own pipes for leaks you should buy something small and cheap. In addition you may also want to buy a leak detector which is easy to use. Where to buy a pipe leak detector from? Probably the easiest place to purchase a pipe leak detector from is via an online store. There are many online stores that sell pipe leak detectors and you can chose from all the different detectors being sold. But the thing you need to keep in mind is that some detectors are inherently more expensive than others, so for instance generally speaking water leak detectors are cheaper than gas detectors. In addition detectors using the latest technology can also be more expensive than ones using traditional detection technology. If you have purchased a detector which constantly monitors a pipe for leaks then it will have to be installed by a professional. However, there are other types of detectors which do not have to be installed and you can just use them whenever and where ever required. But you need to keep in mind that every detector is slightly different and you cannot use one detector for two completely different purposes, for instance a gas leak detector cannot be used to detect leaks in a water pipe as well as an oil pipe.